The only reason why my cerise UA shirt was not stolen was, that I had already started wearing it as sleepwear when I was in New Jersey, so unlike all the other new gear, the cerise shirt was now packed with my standard clothes in my rucksack. And my rucksack was not stolen! And beginning in 2016 I started wearing my cerise shirt again as sleepwear. 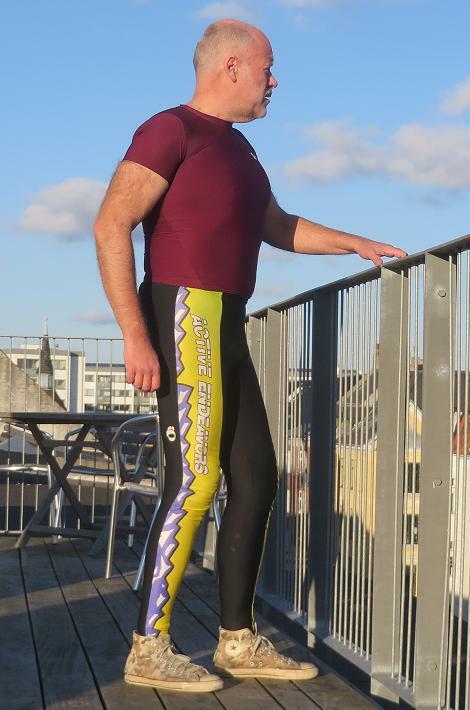 Just like the other Under Armour shirts I had worn in bed the previous months I also went outside to take some pictures of it with the Active Endeavors tights I was wearing as daywear these days.